Early Childhood Care and Education (ECCE) lead institutions have to create a moral compass for themselves.. Know more..
One of the most important and impressionable years of growing up is the early years of a child; from the time it is born till he or she grows up to be five years of age. Studies have confirmed that, in such an early age, healthy positive reinforcement and a happy environment makes a huge impact on the overall development of a child. Such experiences affect all aspects of their development – physical, intellectual, socio-emotional and spiritual. Awareness about these aspects will decide where a crèche or daycare facility will win the trust of their stakeholders or not. With the slow death of the joint family system and a need for a double income family, parents are forced to depend on outsiders to look after their child’s growing up needs. 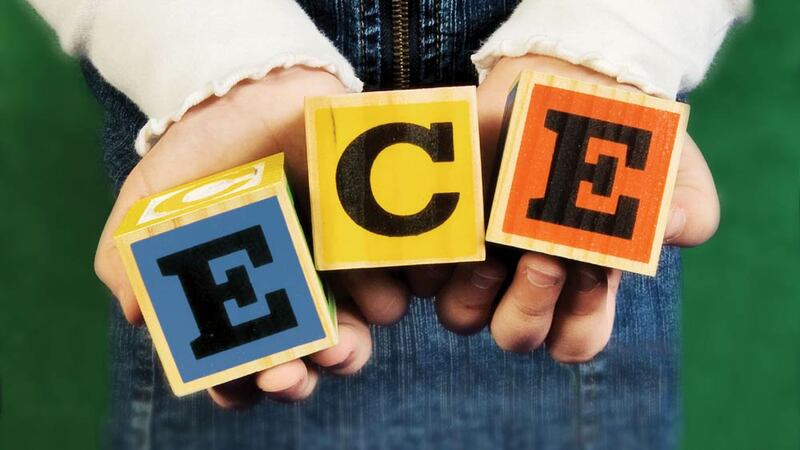 So, while choosing an ideal early childhood care and educational facility, a parent will be forced to look for qualities like consideration, awareness, alertness and compassion- these are paramount. Unfortunately, this age group is still not monitored under the Right to Education (RTE) and therefore remains unregulated. However, owing to the fact that a child’s disposition post those years of exposure to a ‘healthy learning environment’ will say it all, Early Childhood Care and Education (ECCE) lead institutions have to create a moral compass for themselves. Therefore, sensitized and well-intentioned caregivers and teachers are of utmost importance. Owners of such schools and care facilities should be professionally well equipped to screen for those who may bring in a sense of discomfort and unrest amongst such young children. Well-intentioned activities and engagement is important for any Early Childhood Care and Education programme. The best are provided by Step-by-Step School in Panchsheel that works on the model of play way and learn through experiential play. They make extensive use of Maria Montessori’s learning equipment and Reggio Emilio’s learning methodology of learning through experiencing nature. Franchisee models like Eurokids, Kangaroo Kids, Shemrock and Mother’s Pride have made a niche presence in the lucrative and imperative educational need. Each of them follow a unique blend of Montessori and Paige’s Early Childhood Learning models and continue to innovate their curricula year-after-year. The focus is on overall holistic development of the child, a need which is not being met at home, due to obvious reasons. Educational institutions and government bodies worldwide now admit, that even if a child from the marginal strata of society is exposed to proper ECCE facilities, over the next 20 years of such a child, his or her presence would have significantly contributed to the future of that country’s economy. Undeniably, the population is a part of the wealth of a nation, and more so, if has been exposed to holistic education from primitive years. This was probably the backdrop for Delhi government’s decision of investing into ECCE centres at grassroot level. Reports confirmed that there was plan of establishing about 3,000 of such centres that would comfortably ready about 2.5 to 3 lakh children for school over the next three years. At an Early Childcare and Education conference held in 2014, it was unanimously declared that meaningful early childhood education cannot be delivered without a battery of well trained teachers. Apparently, the Amity Centre for Educational Research and Training (ACERT) in Delhi was an answer to this. The institution has now been researching and formulating a teachers’ training programme that comprises international best practices and ways and means to adapt them in schools. The west wins over India only in this aspect- that they have extremely well defined and structured systems for teacher’s training and student development, well in place. Because there is a gap in the expectations and the deliverables, Early Childhood Care and Education as an important learning milestone, remains neglected. So, the onus to run an excellent happy establishment rests totally with an owner, who will have to educate himself or herself and provide the best holistic learning environment for early learners. Why Hygiene is the new Focus in Restaurants.. Becoming a Rage by Catering All Night..
7 Bakery Trends to Look Out for in 2018.. Snag Profits With This 100% Vegan Debit Card..
Be A Successful Pre-School Franchise..
Now It's Not Just About Food at Restaurants..
How Technology is Driving Customer Experience..
Action Against Illegal Online Pharmacies..
Future of innovation in Franchising..
How to Recruit the Right Franchisee?.. Screaming Success in Preschool Franchise.. Transforming the Brand into a Consumer Brand..
Complimenting The Indian Laundry Industry..
Benefits of Home-based Health Care Facilities..
5 Challenges in Nightlife Sector.. Franchising To Spearhead Child Development..
How To Combat Skilled Staff Challenge..
6 Reasons Casual Dining is Exciting for Investors.. Blood Donation Awareness Among Students..
Changing Face of Organic Beauty Products in India..
Why Should You Invest In Mental Health Sector..
Providing the Best in Hair and Beauty Services..